LOCAL TRADE!! 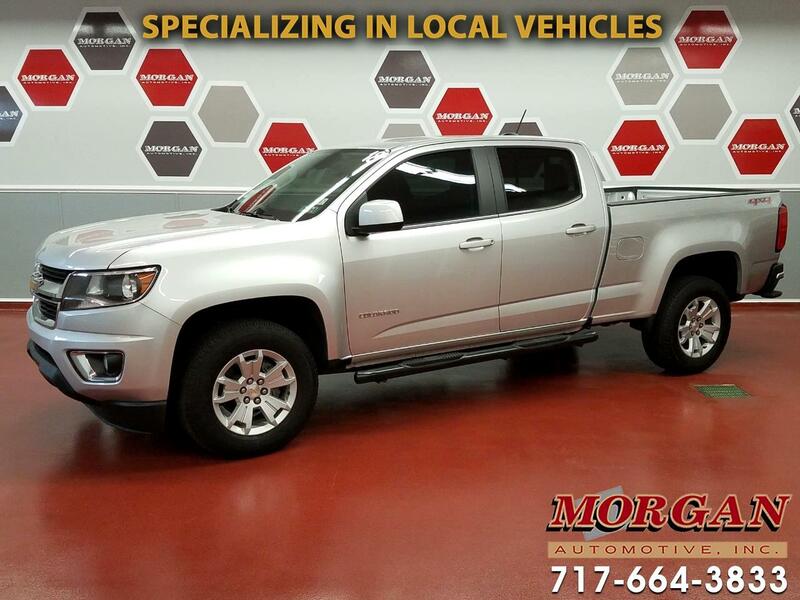 ****LIKE-NEW 2018 CHEVY COLORADO LT 4X4****CLEAN CARFAX**** This is an awesome mid-size truck that blends good looks with off-road performance. Loaded with Chevy MyLink touchscreen infotainment center with Navigation, AM/FM/SXM/CD/AUX/USB radio and Bluetooth for hands-free controls, tow package including hitch and wiring hookups, fixed running boards, traction control, power equipment, rear view camera, shift-on-the-fly 4WD, Air conditioning, fog lights and cruise control. Runs and drives great, has just been through our Morgan Automotive certification passing a 110 point check, fresh oil, and tires/brakes are near new. Comes with the balance of the factory warranty with options to extend it for added piece of mind. Financing is available, if interested please contact one of our commission free sales team members.